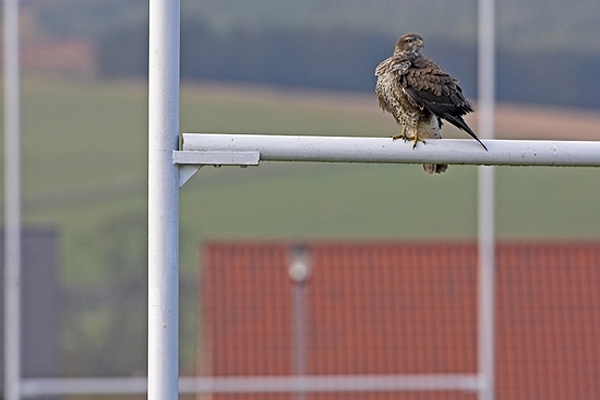 Home | Birds of Prey | Buzzard at Duns RFC. Taken at the rugby field as it preened itself on the crossbar. Canon 1D Mk11N camera,500mm lens,1/250 f8.